Back in 1997 when we started, web design was a fascination; we were excited just getting things to work correctly. Video and audio on a web page was more about "can we do it" rather than should we do it. Let's face it - now, twenty plus years later, the internet has evolved and the world has changed. And we are about to enter an entirely new chapter of connected business. The online experience has changed. 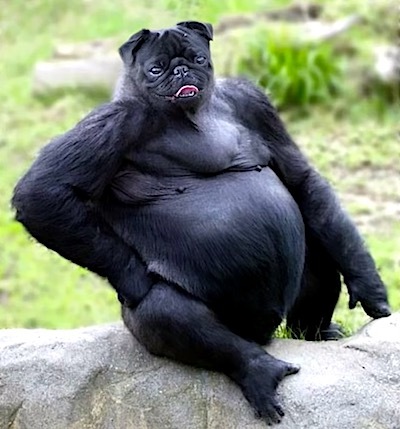 If a Pug's Head on a Gorilla gets you to click, we call it a win. Want to see more animal hybrid photos? 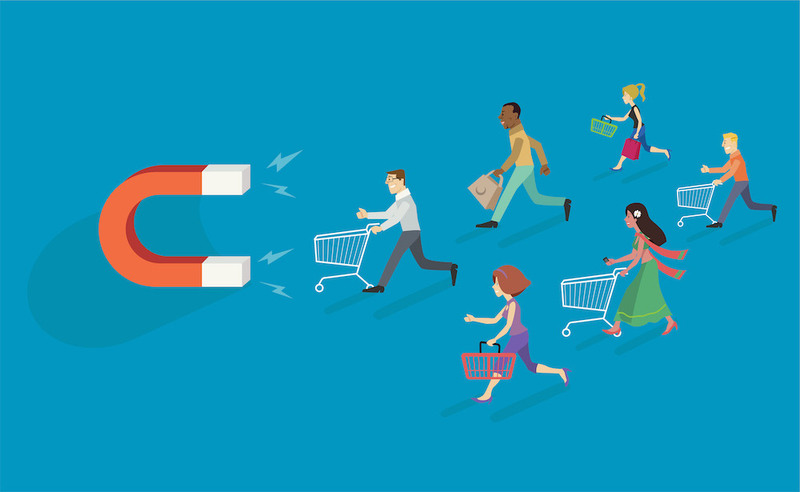 Today's savvy business people are using Predictive Analytics, Artificial Intelligence (AI), eyeball click tracking devices, and automated chatbots; just a few of the ways to drive traffic and convert into customers. If you are serious about getting leads and converting them to customers, work with someone who has been in the business for a long time; not someone who just learned this a few weeks ago after following a funnel link to an online video class. Content Creators has worked with thousands of clients over 20+ years and we're a trusted partner helping you build your business. While some marketeers begin with “what's your budget” and then fill in the work around the dollars, we'll first define your goals, determine the best course of action, and then look at the best use of your resources to get the job done. Let us help you establish the creative business path to growing your business. It's what we do. Are you ready to discuss your new project? Tell us about your business goals and let’s start building the plan. Thanks for working so hard, the good product, ideas and support are all outstanding. I’m confident in the decisions we’ve made! By the way, we got clients in contract yesterday for $1,600,000 against 12 competitors. We are thrilled! Andrew does awesome work and his team is very responsive. He makes even the small company projects that he works on for us, feel as if we are paying big $ – both the design and the strategic thought that he puts into the work. I recommend them for any project big or small. We have worked with Content Creators for over 10 years on a range of design concepts, websites and marketing campaigns and have found the service to be creative, timely and accurate. Andrew’s input and suggestions have helped us develop and enhance our brand on a range of projects, and to a high standard of production. He is incredibly organized, easy to communicate with, responsive with next iterations, and brings a depth of business strategy that many others simply do not possess. Andrew has worked with us for over 7 years. During that time, he has done advertising, marketing, website design and implementation. The quality of the work is exemplary and the company has put together a great team who execute projects on time, on budget and with outstanding creativity. The company turns out professional, well thought out products on a consistent basis. I would highly recommend them to your organization. I’ve worked with Content Creators and Andrew’s team on various marketing and web design projects for over four years. 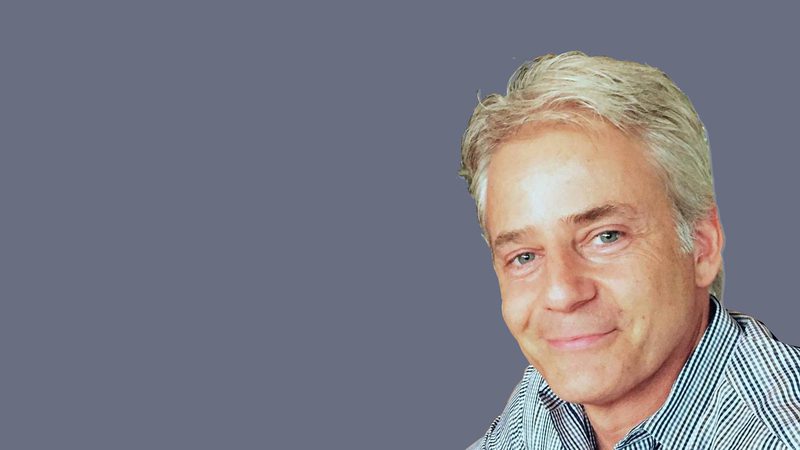 Andrew is highly knowledgeable and accomplishes all projects incredibly efficiently. Andrew quickly understands a project’s issues and consistently comes up with great ideas, which he implements with speed and on budget. I recommend Andrew highly. The team has a great creative eye, yet is able to seamlessly incorporated clients visions into the work. You are always quick to return calls (even when Andrew was on a family road trip!). I highly recommend Content Creators to anyone wanting fresh, creative web design. Thank you for being extremely helpful with my website. Not only did you get it done when promised, you went above and beyond by being available to answer all my questions. You were able to explain and educate me on how to handle some administrative issues on my own so that I can make small changes or add text, photos, videos, etc. I’m a small business owner and was treated = like a VIP. I highly recommend you to anyone needing marketing and online web expertise. We have received several glowing reviews from your previous clients and would like to thank you for letting us ask for them and are giving the green light to move forward with our project. So, I don’t if you are an emotional kind of guy, but I have to tell you that I am sitting here wiping streaming tears off my face. I am so overcome with seeing an actual product of my dream- something I have been wanting to do since I was 10 years old, and you created it for me. I am incredibly grateful to the fates of the universe that I ended up sitting next to you in a coffee shop. I am truly so happy. Thank You. Hire the team that will do the strategy before the work – and who can put up a website in just two days if you need it. Stop hiring people who want to “try some stuff”. Let’s get clear on what you should be doing first – then we’ll look at your budget and figure out how much time we can spend on each piece of the puzzle. Did you know that your competitors could be using your company name in their marketing and the more that you spend on advertising, the more you are driving your potential customers to your competitors. Find out how to fix this right now whether you are a non-techie or a seasoned online professional. Each customer interaction is opportunity to maximize the job you do. Get the most out of every interaction with our proven process. Our business strategy, design and analytics packages provide you the information that allows you to make the best possible decisions that you can for your business.